Here we are, having to play catch up once again after other top teams already had their game-week fixtures, but I guess that’s the down side of playing Thursday nights. Not that that it in any way would stop broadcasters from messing about with our timetables. But I digress. We host Brighton for the very first time at the Emirates. They did of course play against us 16 times before, beating us on 2 occasions… both in 1982 – “I want my Arsenal back” I hear the weirdos shouting from the back. But those losses were a lifetime ago, and so was our defeat at Anfield! I’m gonna be honest, on paper and reality this is a game everybody expects the Arsenal to win, whether it’s gonna be a comfortable victory I guess is what today will be all about. In the 6 previous Premier League games thus far Arsenal conceded 8 goals and Brighton 7. Them letting in about 1 goal/game is reason why Arsène Wenger said, “they are well organized and disciplined defensively”, so we might need to be a bit patient breaking them down. And other than that ‘organisation’ at the back I can’t really see them doing very much going forward. They scored 5 goals in their previous 6 PL outings and their striker Tomer Hemed, responsible for 2 of those is suspended. Pascal Groß, their other attacking threat, who also scored 2 will need to do something special to puncture our defence. On team selection, Brighton might not make us quake in our boots but I doubt Arsène will tempt fate, so I don’t see us changing from a strong team that beat WBA this past Monday, apart from Mo ElNeny that could miss out. He played Monday and Thursday, so is due a rest. With Mesut Ozil still unavailable I think we could see Theo Walcott making the matchday 11 in place of ElNeny. 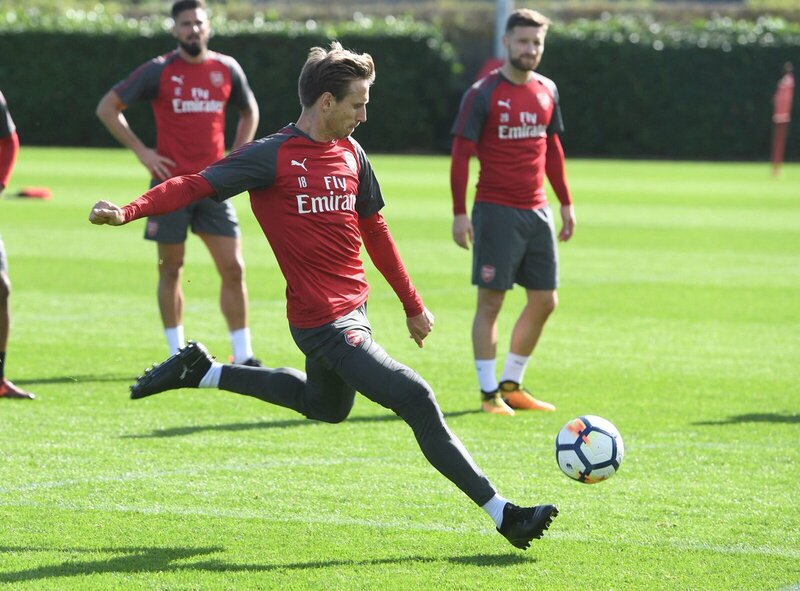 Of course it would be great if it could be Jack but 2 games in 4 days might be a bit too soon as he continue his rehabilitation and integration back to first team consideration. With Koscielny and his suspect achilles being called-up for national duty, perhaps he too could get a rest, but who knows? Victory today will mean we finish the period since the previous International break unbeaten. With the draw away to Chelsea the only dropped points, we couldn’t had asked for more. I just love it that slowly the cream is making its way to the top. Ya Gunners Ya! Forgive me if it sounds like I don’t give Brighton any chance, but it’s hard to see anything other than victory for Arsenal. Good luck to all watching from wherever, to those going to the Emirates… do cheer on behalf of the rest of us and don’t forget to give a warm welcome to our opponents on their first visit to our spiritual home, especially more so around the 27th minute mark. He is the kind of player who has good availability. We want final balls and goals as well. A player like him must get 10 goals and 5 or 6 assists, that’s what I want from him. Wenger says Ozil and Koscielny will not be joining up with their international squads. That was fine. I think we were surprised by how bad Brighton were. Iwobi was good again, which isn’t me being protective of someone getting a kicking from some of the freakshows that support the club. In the absence of other mfs in his mould he’s going to be key to how we play, especially if there are injuries. Monreal is a bit like Bruce Willis in that M. Night, film Unbreakable. He seems like a solid, unspectacular player until you try to think back to a time when he really let the team down, like all defenders do. But you can’t recall one example. We’ll get at least a couple of years out of him at LCB. Iwobi brings balance on the right hand side. He may not score as much as as Walcott but he is already better technically and will usually win his 1 v 1 duels. As Wenger said he needs a better final ball and more goals. At 21 yo (?) the sky is the limit. Yes, Shotta – once again, he’s someone you want to see receiving the ball in congested parts of the pitch. When he’s in the team we play more stylish football, but we’re also much harder to defend against. This is a tangent, but I hope EFC don’t get Brendan Rodgers – the most unfairly ridiculed manager in PL history after AW. A blogger may look like an idiot, he may talk like an idiot, but you should not be fooled by that — he really is an idiot. In fairness, dopey bloggers have a peculiar disadvantage because they fall foul of the golden rule that it is better to keep your thoughts to yourself and appear stupid — than it is to open your mouth and confirm it — having committed their comment to a digital blog site means their stupidity is there for ever. Not that I know anyone like that, obviously – other than myself. Birdy: You are so right about Brendan Rogers. Yet again a case of the enormously stupid fans of Liverpool egged on by equally stupid journos and pundits in the MSM, blogs, etc (many of whom are ex-players) hounding Rogers out of the job. Only the most deluded football fan could have expected Liverpool to compete for the title after losing Suarez. It was a rebuilding year. Brendan didn’t help himself by keeping expectations sky-high. Anyways, I doubt he would leave a champions league club (Celtic) for one that is not even in Europa. I enjoyed the game today – helped by my bias – as we won and got 3 points. Well I am only human. A wibble at the back of my mind tho was nagging at me, from time to time — am I the only one to think we still look fragile when crosses come into the box, accompanied by a phalanx of 6’+ opposition CBs? Forgot to say, well done Labo_Goon – I liked your pre-match Post. Eddy: Thanks for the clarification. Yep Everton is in Europa. But why would Brendan take the job? Only the money, I guess. Arsenal 5th after 7 games, 1 pt ahead of Liverpool. What a #Shambles! I take it you guys loved the way the youngsters and our Jack played against Bate? There are some really good prospects there, and I know people say that we will be lucky to get one ‘good un’ every few years or so. For me, I would not be at all surprised to see not only Rees Nelson, Maitland-Niles, and Willock come thru, but also Nketiah too. Colour me naïve, bit I really think we will go against the perceived wisdom and get at 2 and maybe all of that group get into the PL squad. Fingers crossed. The fact that ‘Pool have been distinctly average since they skinned us – and it just puts that game into perspective, in that there was a lot going on with the disturbance at Arsenal because of the Özil and Sanchez tribulations. It will make it all the sweeter when we become greater challengers than anyone has given us credit for. HenryB: Oxlade-Chamberlain might have been the biggest distraction in that Liverpool game. His head was elsewhere. Great to see HenryB back….. True Shotta. And with the Ox’s performances since he left, he was upset by it all too. I hope he comes good, and he has the talent to mange it, but not against us! He was usually right – so the Arsenal are busy making their own history now, too – and we all wish the Gunners well. Too much philosophy from me — and not enough football. It was not a bad weekend at all, you are right. since we sold OX, Arsenal have 6 wins in 7 games, LFC have failed to win 6 of their 7 games. To borrow a phrase from ozil. next they will be trotting out their “AFC pricing a whole generation of fans out of going to games”, so they can sell the tickets to “tourists”. This kind of numbskull only wants to see wasps at Arsenal. You know Arsenal should go the whole hog, only White Anglo Saxon Protestant players born and reared in London should be in our team/squad, all staff should be the same, and it goes without saying, same criteria should apply to match going fans too, can’t be having this modern football lark, Brexit means Brexit. ts seeing as you mention him, I really felt that today’s game showed how much we need Ozil, the number of times we needed a lock picker, the number of runs made by Lacazette and Kolasinac with no one able to see let alone make the pass, too much “after you” from us today. Shotta, I don’t know if it was the press so much as twitter. He turned into a meme because like most managers he has a couple of tics. In his second year he got a mediocre squad assembled on the cheap (compared to the other three) within a back-pass of the title, playing football that no UK manager has produced since Ferguson. They sold LS and replaced him with Lambert. Klopp has done a lot less with better players. I’m also a fan of good football and I respect him for what he did with Swansea. They’d just come up in 11-12 and out-passed us when we went there in a way only Barcelona had done before. I’d never seen anything like it. I don’t think he’s a genius, but I think he deserves a lot more praise than someone like Sean Dyche. In defense of Sean Dyche he is a meat and two veg sort of coach ,but his team is eminently more watchable team than WBA and a much more of a attacking threat. ts we still had 25 shots today, 12 on target and one off the post, but I felt that Ozil’s better quality of passing would have created clearer chances for us today. There were times when Brighton were hanging on, but our final bit of quality was missing. I’m for modern football. Give me more LGBT inclusion, global support, refereeing that protects players from injury, fewer racists, better policing, safer stadiums, immaculate pitches and as many day-trippers as possible. You think the Signal Iguna Park doesn’t get day-trippers? It’s one of the most famous stadiums in the world. It doesn’t seem to harm the atmosphere. But that said, i think the time is coming when we need to reassess the architecture of the Emirates. There was no knowing at the time but that stadium’s design is in no way conducive to an atmosphere. News flash! There were 13 years between the North Bank redesign and the Emirates move. It’s been 11 years since the move. I think it’s time to start talking about improving it. Modern Arsenal has lost its soul!! 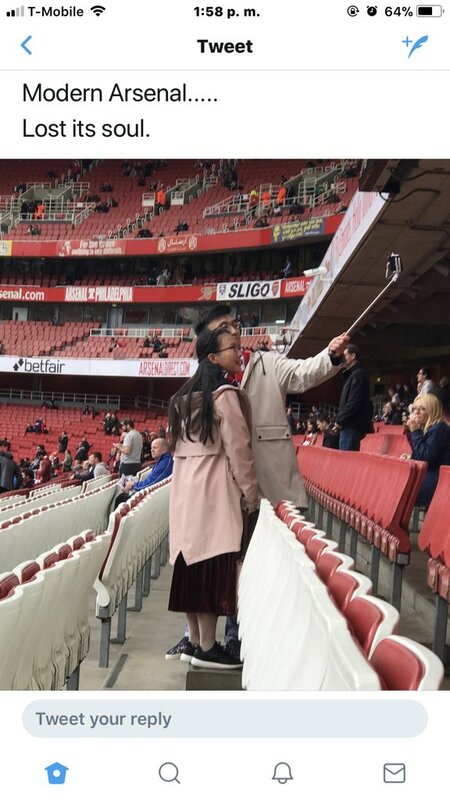 WTF is wrong with these people, what’s wrong with a couple enjoying being at the stadium and photographing their moment? Are all who enter the ground supposed to take on the spirit of discontent, protest,misery, strife, and be upset with Ramsey/Ivan/Wenger/Gus Caesar/ Vic Ackers? Must all who follow the club not only be malcontent, but be born within five miles of Highbury? Utterly unbelievable, some of our so called fanbase are not only idiots, I suspect some may be other , more sinister things as well. and Mandy what makes it all the more stupid is that today was “Arsenal for everyone day”, I suppose that is why some of them said what they said, they just have to take the opposite view of the club. Arsenal for everyone, as long as they agree with those who shout the loudest how unhappy they are with the club. The comments section on this blog makes me happy. That miserable, xenophobe with his anti-foreigner tweets is on my TL. Sometimes I am tempted to say something but I know all he wants is a mud wrestle. I refuse to be drawn. In response to his hateful, spiteful rant, I want to simply highlight how many foreigners are on this blog, supporting this great club and respecting its great values and honorable traditions which thousands of Gooners have bequeathed football lovers worldwide. Ironically, because many of us are very aware of the complete opposite in our home countries, (i.e. rotten dirty football, national teams, clubs, coaches and administrators) we are more respectful and supportive of what Arsenal represent than many of those born in Islington and the rest of Blighty. 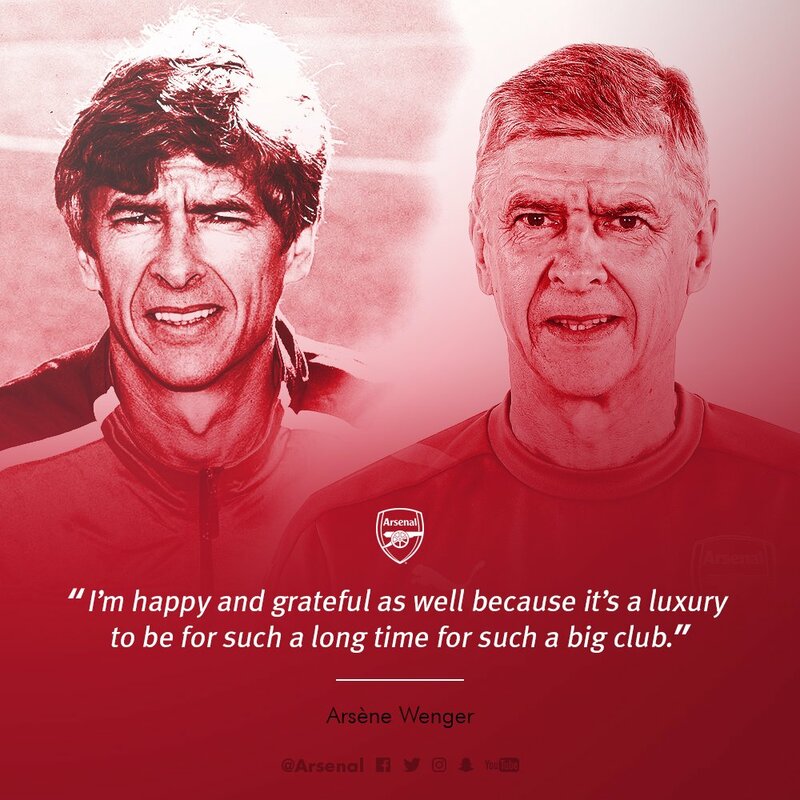 Even Arsene Wenger, having fled the corruption of French football, has made it his life work to make Arsenal the greatest club the world has ever seen. As far as I am concerned that tweet has nothing to do with the English/British gooners I have met in person and via interaction on this blog. PS: What the hell has happened to Ranty? Since he posted after the Greenfell Tower fire, to say he he was safe, he has been completely absent. I met Ranty last year. As the kids would say, he is awesome. And that was coming from an amiable if disphoric Groaner! …I remember once sitting with the crowd that think they know about football who sit behind the dugouts when Sanchez made his debut: one of them said Sanchez was too good for AFC: you can change the stadium, you can change the team and manager and owner, but not even a lobotomy could help improve the atmosphere created by such ****s (pardon me). Thanks Labo for setting the stage so well with your pre-match musings, thanks to one and all for the in-play commentary (devoured nervously whilst ostensibly watching child 2 play hockey) and for the expert analysis after the points were secured. Haven’t found the opportunity to watch the highlights yet but am looking forward to doing just that. A bit of momentum is growing, but quietly so and nicely under the radar. Meanwhile, away from the actual football, the usual suspects are finding plenty to moan about. Wrong stadium. Wrong type of seating. Wrong type of noise. Wrong type of fan. Wrong owner. Wrong manager. Wrong players. Wrong tactics. Wrong substitutions. Wrong result. Honestly, if I had the time, money and opportunity to watch even one match live at the Emirates this season I’d feel truly blessed. But then I’ve never worried about things not being quite as I might want them to be.